Vans are one of the longest standing skate shoe and snowboard boots brands in the world, with a product range now extending into technical clothing and outerwear as well as lifestyle oriented streetwear, T shirts, hoodies, caps, accessories and more. 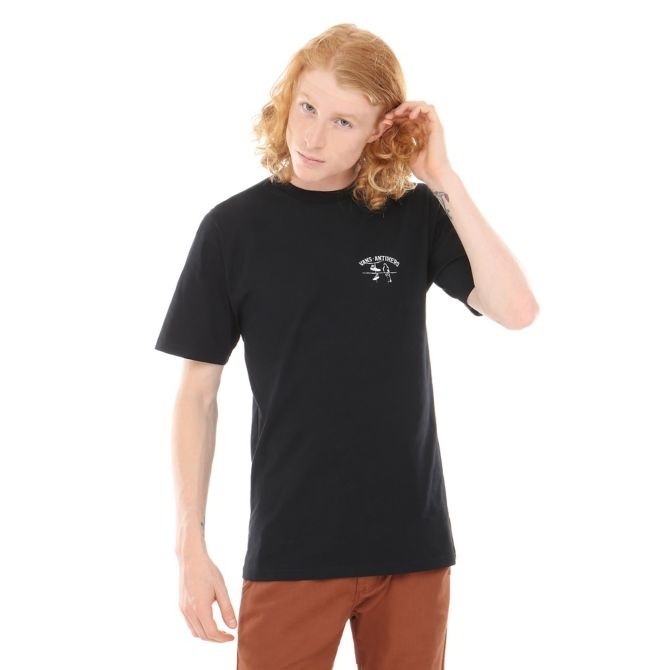 All Vans gear is extremely well made and Vans have an unmatched reputation in the action sports industry for quality and style. On March 16, 1966, at 704 E. Broadway, in Anaheim, California brothers Paul Van Doren, James Van Doren, Gordon Lee and two other partners opened up the first Vans store. The Van Doren Rubber Company manufactured shoes and sold them directly to the public. On that first morning, twelve customers purchased Vans deck shoes, which are now known as "Authentic". Vans displayed three styles of shoes, which were priced between $2.49 and $4.99, but on the day the store opened for business, the company had only made display models actually manufactured, but no inventory ready to sell. The store rack boxes were actually empty. Nevertheless, these 12 customers came into the store and selected the colors and styles they desired. The customers were asked to come back later in the afternoon. In the meantime, Van Doren and Lee rushed to the factory to manufacture the selected shoes. When the customers returned that afternoon to pick up their shoes, Van Doren and Lee realized that they had forgotten to have cash available to make change. The customers were given the shoes anyways and asked to return the following day to pay for them. Each of the 12 customers did return the next day to make the payments! Skateboarders who liked Vans' rugged make-up and sticky sole were seen wearing Vans all over Southern California in the early 1970s. In 1975, the Vans "#95", known today as the "Era", was designed byTony Alva and Stacy Peralta. Today, Vans are one of the longest standing and most popular skate shoe brands in the world, and are heavily involved in all things skate, surf, moto and snow including big participation in art, music, events and competitions all over the globe - one of the biggest of these being the Vans Warped Tour. After moving into the snow market, Vans now produce an awesome range of snowboard boots for men, women and kids, and have one of the best snowboard teams in the world with riders such as Pat Moore, Darrell Mathes and Andreas Wiig. Gilbert Crockett's pro model skate shoe. A time-tested classic from Vans. Vans' rider Steve Caballero's signature skate shoe. A time tested classic in canvas.